Mexico City (AFP) - Mexican federal forces have arrested the brother of the head of the powerful Jalisco New Generation drug cartel, who managed the group's finances, authorities said Friday. 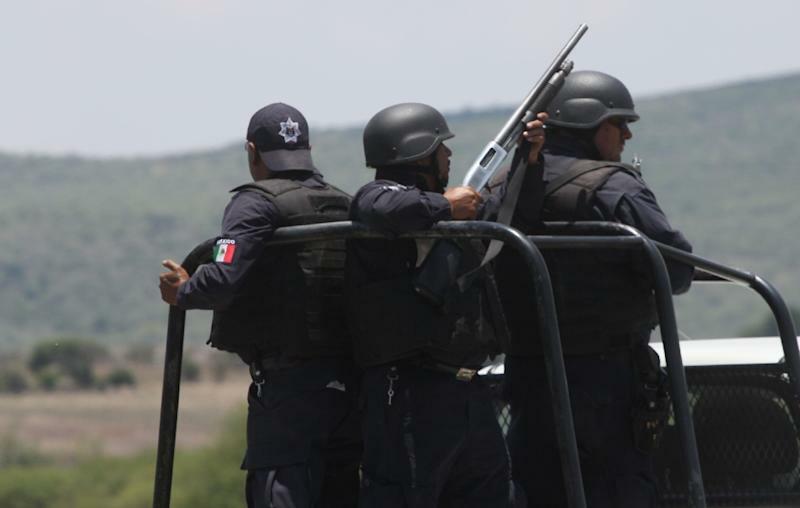 Antonio Oseguera Cervantes, 57, was detained by police and soldiers without a shot fired on Thursday as he drove alone in a car in the town of Tlajomulco de Zuniga, western Jalisco state, said federal police chief Enrique Galindo. Oseguera's arrest affects the cartel's financial structure "in an important way," Galindo said. Galindo said the suspect worked "under the direct orders of his brother," cartel leader Nemesio Oseguera, alias "El Mencho." Antonio Oseguera served a jail sentence for property damage in the US state of Mississippi and was released in 2001, Galindo said. Nemesio Oseguera's son, Ruben Oseguera Gonzalez, "El Menchito," was arrested in June. Authorities said at the time that the younger Oseguera was the gang's number two. The cartel is considered one of the biggest and most dangerous in Mexico, killing some 30 police and troops since March, including eight who died when their helicopter was brought down by a rocket-propelled grenade. Federal police killed 42 suspected cartel members on a ranch in the neighboring state of Michoacan on May 22.